While data protection is a constant, how data protection is managed is not: each time there is a shift in data center infrastructure—i.e. 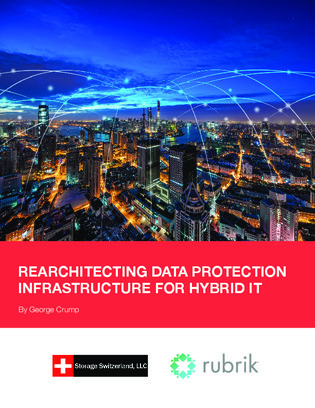 to the cloud, converging storage and compute silos—this requires a shift in the data protection processes. Unfortunately, most monolithic data protection systems simply aren’t able to keep up with the changes.